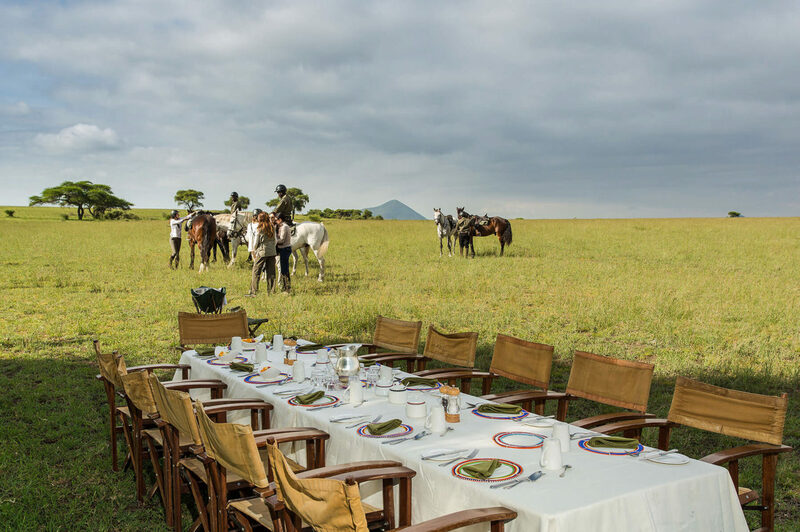 Ol Donyo Lodge, set on the hills of Kenya, pays homage to Africa’s 4,000 Maasai who own the group ranch on which the lodge rests. The camp is dedicated to preserving the nature and, wildlife gracing its neighboring national parks. Africa’s crown jewel, Mount Kilimanjaro presides over the plains, providing a majestic backdrop for the resort. 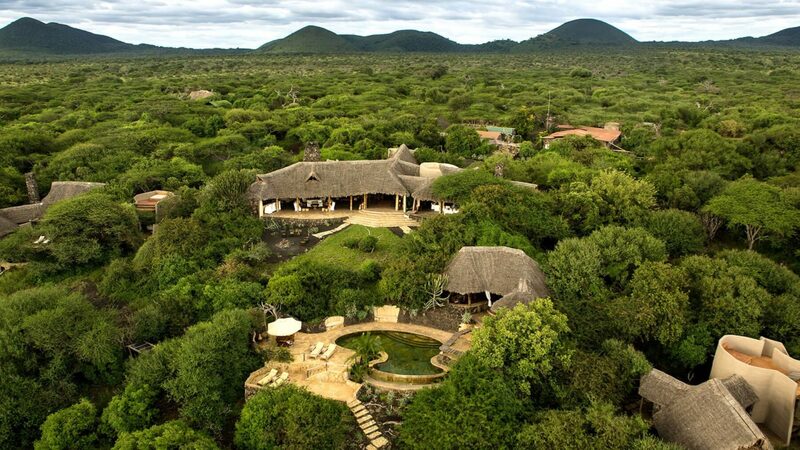 Guests are free to safari via foot, bicycle, game drives, or even horseback. They are likely to glimpse giant elephant bulls, perhaps during their seasonal migration, and hear the haunting calls of leopards piercing the night’s serenity. Merging outdoor and indoor living, the seven distinctive suites and villas (no two are the same) dot the arid landscape. A two-bedroom family suite houses its own plunge pool and roof terrace, where a “star bed” can be set up, allowing for the thrill of sleeping under a canopy of endless stars. A wakeup call in the morning comes from the sun rising gently along the volcanic mountain peak, calling guests to soak in the natural beauty of this sacred land. Designed to merge your outdoor and indoor living, a series of unique suites and villas appears to emerge from the arid landscape with views out over the plains to a distant Kilimanjaro. Six pool suites plus 1 two-bedroom family unit offers a harmonious blend of contemporary and rustic accommodation, merging the landscape into each suite. 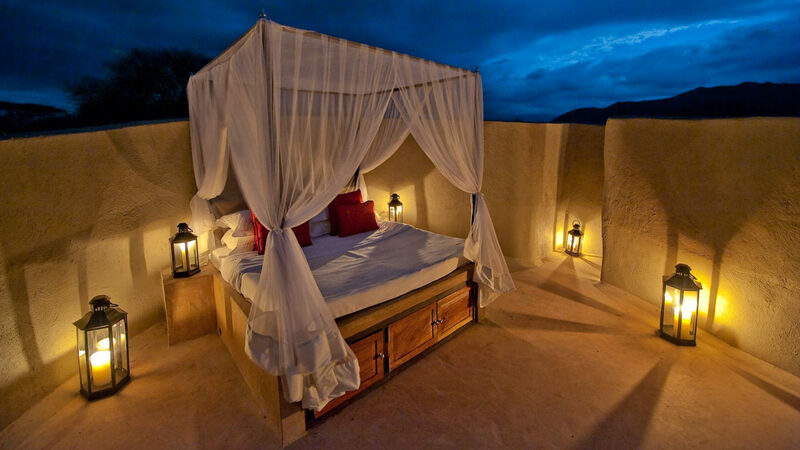 All of the rooms have their own plunge pool and enjoy roof terraces where intimate “star beds” can be set up, allowing guests the thrill of sleeping in style under a canopy of endless stars while connecting with their sense of place and self. A maximum of 16 guests, sharing, can be accommodated, plus an additional guide’s room as required. Children from 5 years are welcome. Families with children between the ages of 5 & 15 will be accommodated in the Pool Suites. 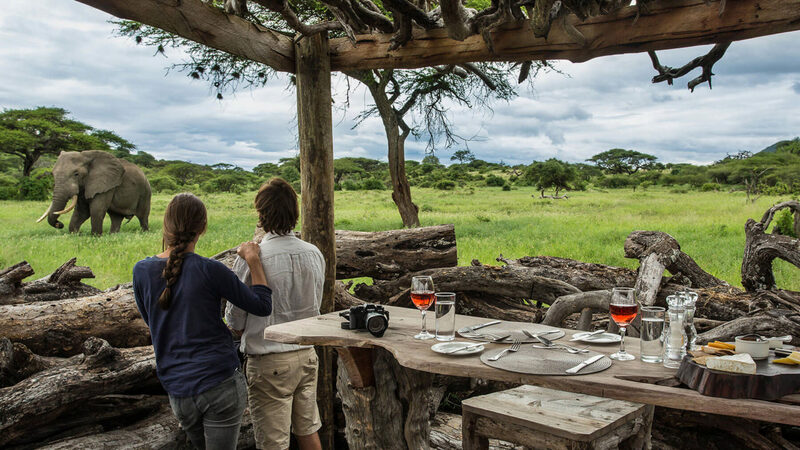 •	Fully inclusive of all wildlife viewing and outdoor activities, meals and alcoholic and non-alcoholic beverages. 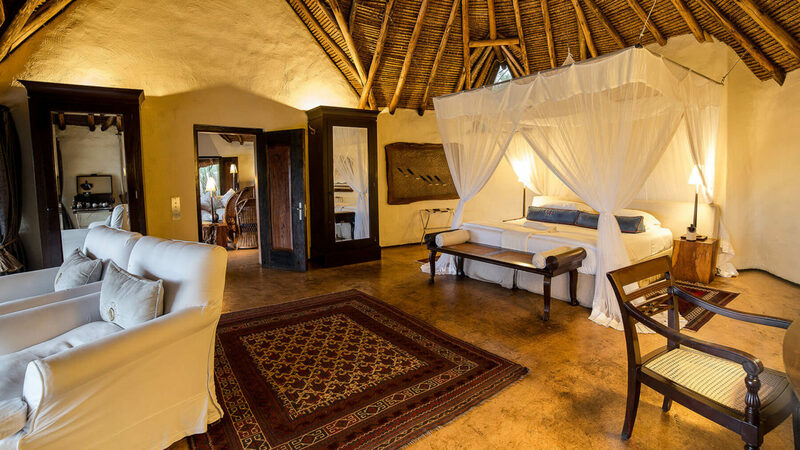 ol Donyo Lodge is located on the private 275,000-acre Mbirikani Group Ranch in southeastern Kenya between Tsavo East and Amboseli National Parks and next to Chvulu Hills National Park.